Taking care of your skin has never been easier than with HydraFacial®. With just 3 steps, HydraFacial can help you restore and maintain your skin’s health. HydraFacial uses patented technology to cleanse, extract and hydrate, leaving your skin with a fresh glow and results that you can actually see and feel. 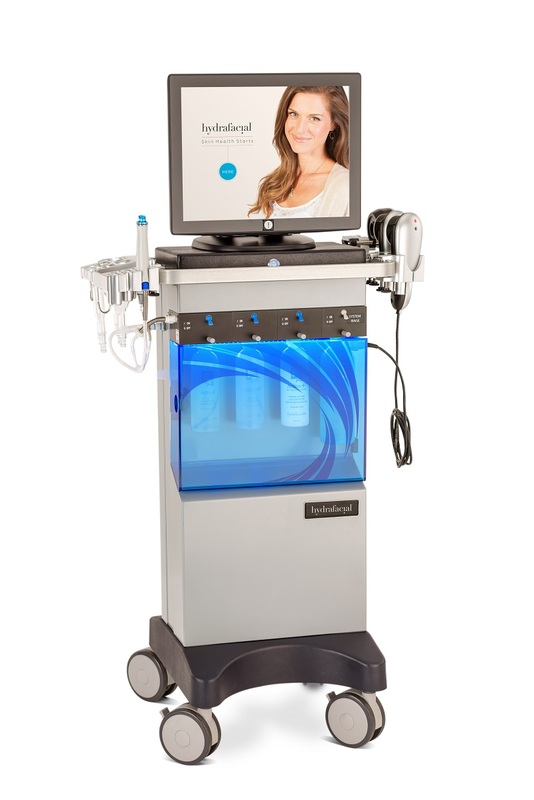 HydraFacial begins with gentle exfoliating and resurfacing. This cleansing and peeling process uncovers a new layer of skin. Next, during the extraction and hydration phase, debris is removed from pores with painless suction. Skin is nourished with moisturizers designed to quench thirsty skin. With the final fuse and protect process, HydraFacial saturates the skin’s surface with antioxidants and peptides to enhance your skin’s appearance and provide a healthy glow. With no downtime, patients report smoother looking skin and a noticeable healthy “glow” – even after just one treatment. For continued improvement, maximize your results with multiple HydraFacial treatments.